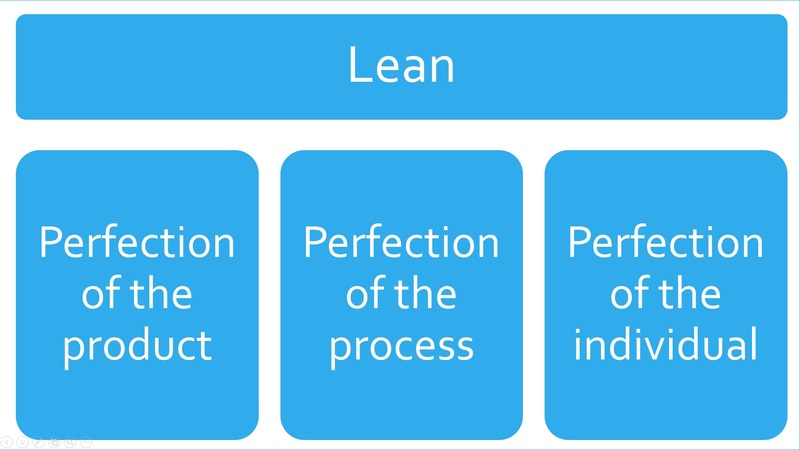 The traditional Western Lean toolkit is solely focused on the second pillar: perfection of the process. In the West, Lean is often seen as a cost-saving exercise with the goal of cutting any fat from the organization and the way it operates. While there is some truth in that, as waste is an anathema to perfection, it is far from the whole truth. This view has become so prevalent, because many of the early Lean tools are focused on process improvement. Thus, when you just see the tools and not the context, it is easy to err on this simplification. 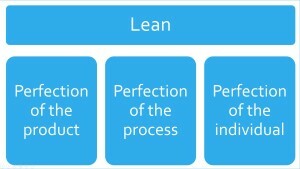 Lean Startup, on the other hand, is mostly focused on the first pillar: perfection of the product. Lean Startup poses the question how should we develop products that the customers really want in a world filled with uncertainty, and turns to the scientific method – PDSA in Lean, Build-Measure-Learn in Lean Startup – for inspiration. However, you can do Western Lean (waste elimination) or Lean Startup, or even both, and still not be a Lean company. It all boils down to the third pillar of Lean, perfection of the individual. Lean does not make a categorical distinction between the business and the personal, something that is commonly thought of as a significant distinction in the West. You need work-life balance! From a Lean point of view, this claim is absurd. There is no work-life balance. Either you have your whole life in balance, where work is an important and engaging part of who you are, or your life is not in balance and you just turn off your brain for eight hours a day while you drudge through your work. Did I mention that most employees are not engaged at work? It is only when you add in the third pillar that doing Lean can turn into being Lean. The first noticeable effect is the way the company treats its employees. It is the fundamental right of each employee to help develop their own work. This is often misinterpreted as a factual claim that the employee knows the work best, and therefore should be the one to improve it. Yes, Lean also makes that factual claim. However, it is inconsequential when compared to the principle that is being applied. This is reflected in the mentoring practices used at Toyota. Even if the problem could be solved much faster by more senior personnel, new hires are coached through problem-solving in order to develop them as people. If you want to take a deeper look at this, I can recommend Mike Rother’s phenomenal book Toyota Kata that describes the coaching kata and improvement kata used at Toyota. Second, this approach extends to the network of the company: its suppliers and sales channels. Lean is all about building lasting relationships where everyone can improve and get closer to being perfect. Finally, Lean does not view a company as an entity that exists in a separate realm of economics, cut off from the society. Western economics tends to view companies this way, but this disconnect is the cause of many unethical things companies do: they simply do not view themselves as part of the society, but only as part of the field of economics, business, and profits. A Lean company also wants to be a part of the society that surrounds it, and help the entire society to prosper. So, Lean and Lean Startup have a number of nice tools you can use to eliminate waste in your processes and develop better products. It is possible to achieve good results simply by applying these tools. Nonetheless, most Lean implementation attempts fail. It is one thing to use tools in the context where they are meant to be used, and quite another to rip the tools away from the whole fabric that connects them and still try to achieve the same results. However, really adopting Lean forces the management to consider the whole relationship between the company, its employees, and the society, and that is something most executives are uncomfortable with, do not care about, or even do not at all understand why something like that is even important. That is the real tragedy of the Western corporation. Previous Previous post: Why should primary schools care about Lean?